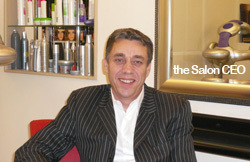 Salon Academy members receive personal mentoring and support from Mick Say, the Salon CEO. Unique Academy contact details are issued to ensure urgent action is taken on all support requests. Integrity towards our members is, always has been and always will be key to the success of our our business operations.